Last year I attended the Drupal Global Sprint's local event in Leeds, and this year Drupal Yorkshire comes to Sheffield! Everyone of any level of experience will be welcome at the Sheffield event, on the weekend of Jan 28/29, to come along and help out with the wider, open-source Drupal project. We'll have mentors present, with several Drupalcons' experience of helping out, and we'd love to secure sponsorship for breakfast and lunch in the venue (let us know if you'd like to help us out financially!) For the day itself, our very kind hosts are the cooperatively run Union St co-working space, five minutes from the station, and where I usually work as Magnetic Phield. All are welcome to come along and help out, whether with programming, with designing, with headscratching, with usability testing or with project management. 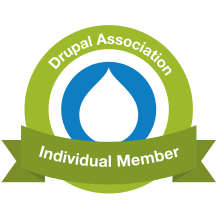 Or even if you're just interested in Drupal, and want to see what it's all about!